The Boghill Centre is a stunning residential venue incorporating a hostel, B&B with ensuite rooms and two multifunctional activity halls. 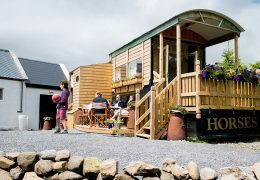 Situated in a natural bogland setting in the north of Co. Clare with a quiet and secluded atmosphere, it is the perfect place to relax, unwind and renew your spirit. We welcome hostellers, B&Bers and groups as well as catering for workshops, courses, field trips, conferences etc and for individual/group retreats and holidays. 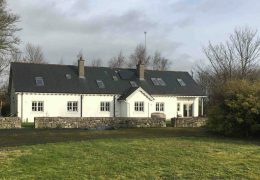 Boghill is a sustainable complex with a strong Environmental policy set in 50 acres of land on the edge of the Burren in Co Clare. The land includes organic vegetable and fruit gardens, a nature trail, a stone circle, a wildlife pond, a reed labyrinth, a chicken coop , an orchard, and several recently planted native woodland areas. Our mantra is reduce, reuse, recycle and our ethos is based on creating an environmentally sustainable business having a minimal impact on the earth. All meals are vegetarian and as much food as possible is sourced from our organic vegetable garden, fruit beds and orchard. All these areas are fertilised with our own compost and horse manure and managed without the use of pesticides or other chemicals. At Boghill we offer a break with a difference – a refreshing change from a hotel or guest house. 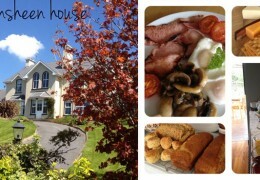 B&B and Hostel accommodation is available all year round. Sleeping for up to 40 people can be arranged in bedrooms and dormitories to suit your particular requirements with ample toilet and shower facilities to hand. 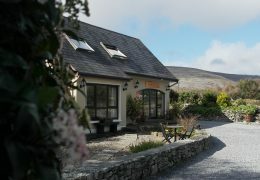 Specially tailored Group Burren Breaks include: Burren Activity Breaks, Alternative Hen Parties, Therapeutic Pampering Breaks, Music Breaks and Cob Building Workshops. All visitors can experience our Interacting with Nature Tour – an enchanting walk around a selection of sustainable activities demonstrating a close bond with nature. The Boghill Centre is available to hire for workshops, private functions, conferences, school retreats etc. Food: Vegetarian, largely organic and sourced predominately from the Boghill organic garden. Special diets catered for e.g.vegan, wheat free, dairy free, gluten free, sugar free and caffeine free, raw food only. The Boghill Centre is situated between Lisdoonvarna (2 miles) and Kilfenora (3 miles). With prior notice a pick up can be arranged from either of these towns. Alternatively call the local taxi service below. Travel to Galway or Ennis (via Limerick) and follow the routes below. There is a direct motorway from Dublin to Galway. Journey time from Dublin to Boghill is approximately 3.5 hours. Travel to Ennis via Limerick and follow the routes below. Journey time from Cork to Boghill is approximately 2.5 – 3 hours. Approximately 40 mins drive. From Ennis take the N85 towards Ennistymon. Then turn right onto R476 to Corofin/Kilfenora. At Kilfenora take the first right towards Lisdoonvarna. After approx 3 miles turn left at the sign for the Boghill Centre. You will see two horse heads on the left, take the next right turn. The Centre is about half a mile on your left. Head for Kinvara, Ballyvaughan and Lisdoonvarna. From Lisdoonvarna take the road to Kilfenora. After about 1/2 mile turn right at signpost for Boghill & then take the next turn left. The Centre is about half a mile on your right.